Adcorp is a full service marketing and communications agency with offices located throughout Australia and New Zealand. With nearly 40 years in business, we have honed our skills in delivering marketing results for our clients within a rapidly-changing consumer environment and media landscape. Robust strategy, digital solutions, media knowledge, cut-through creative and engaging content creation is supported by our efficient technology delivery systems and underpinned by our focus on Return on Investment. We pride ourselves on our client relationships and with over 600 clients across a diverse range of sectors; both business and government, Adcorp is delivering smart solutions to clients that are designed to exceed expectations. We are also diversifying. Our 100% owned subsidiary Showrunner Productions is producing content for global broadcasters including National Geographic and Netflix with a range of programs already completed and others in production. A 15% investment in innovative video production and technology business Shootsta, provides Adcorp with a stake in a rapidly growing company that has just expanded into global markets. During his time with Adcorp, David has been integral to a number of key initiatives that have underpinned the growth of the company. These include the acquisition of a Perth-based design agency, the introduction of an in-house television and video production business, the successful pitch and subsequent implementation of a global recruitment advertising contract for a major mining company, the introduction of Adcorp into Master Media Agency agreements with both state and national Governments and the strategic investment in an innovative video and technology-based start-up. 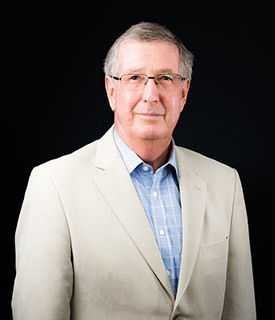 In March 2011, David was appointed to the role of Chief Executive Officer and Managing Director and relocated from Perth to Adcorp’s head office in Sydney. 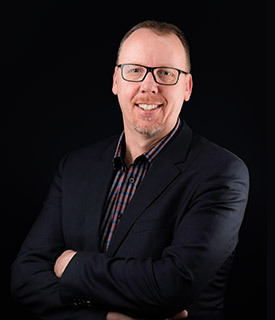 Appointed as Executive Director in March 2018, David now manages Adcorp’s Western Australian operations, is Managing Director of Adcorp’s subsidiary Showrunner Productions and is the Adcorp representative on the Board of Shootsta Holdings Pty Ltd in which Adcorp holds a 15% investment. David has also held voluntary roles with both Volunteering Western Australia and Volunteering Australia; the peak bodies for volunteering. 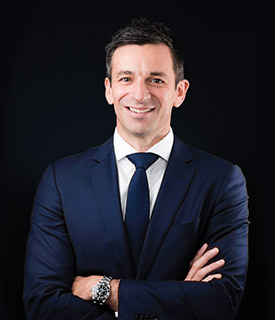 Dean Capobianco has almost 20 years of experience in the online media and technology environment, having held senior roles with Ninemsn, Yahoo!, News Corp Australia and Acxiom in the Asia Pacific region. Dean is an active investor and advisor to early stage growth businesses and companies undergoing strategic digital transformation. Other current directorships: Managing Director of LiveRamp APAC Emerging Markets (NASDAQ).